I have been suggesting that we have several evidences of wood constructions in portuguese prehistory that could be similar to some wood henges or palisades of Europe. 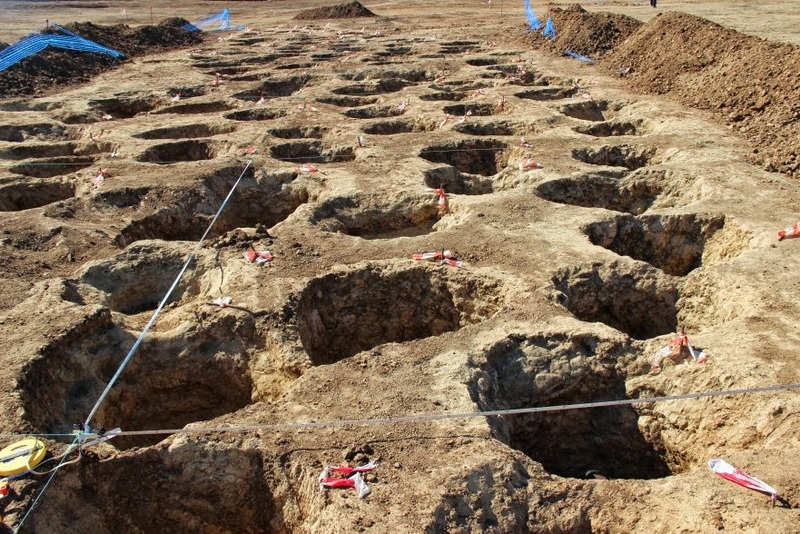 One of those evidences is the area C of Outeiro Alto 2 (Valera e Filipe, 2012 pdf). I will talk here about that in the next post. 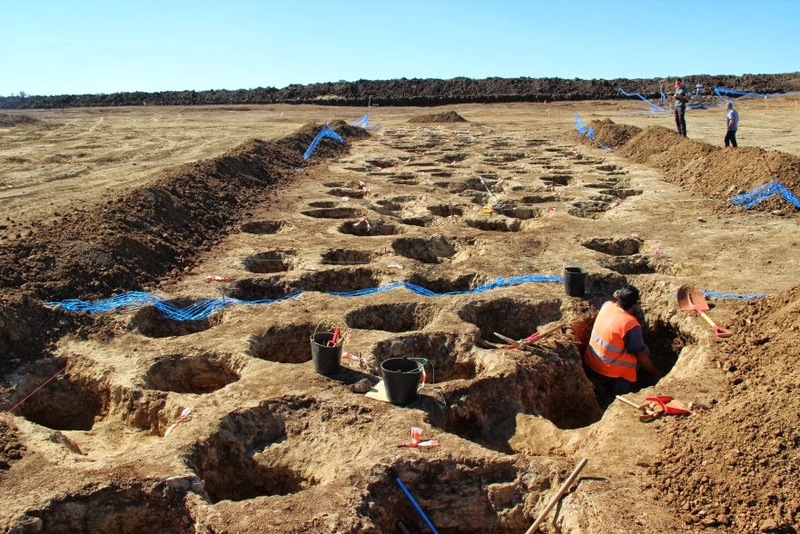 Today I present the strange case under excavation (by Omniknos/Era): 145 pits, with no archaeological material inside, very close to each other, but with no overlaps, producing several aligned rows. They are clearly for large posts (trunks) and do not define a circle, but an elongated area, partially curved. In the outside curved row an interruption is visible and might correspond to a passage. This is a very strange context. 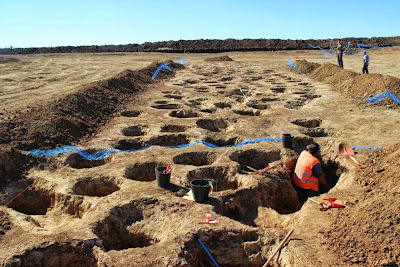 If it is prehistoric (there are several prehistoric contexts nearby), it reinforces the idea that many pits are post holes and that we have to have notion of their spatial distribution to detect the kind of structures they belong to (as it happened at Outeiro Alto 2). 0210 – Causewayed enclosures in Portugal?